Okay, don't roll your eyes. I know we're all very much enjoying this extended heatwave (despite the office feeling like a sweat fest right now), but I'm already thinking about autumn 2018—the season's beauty trends, to be specific. Yes, summer beauty has a lot to offer us this season, but considering autumn/winter 2018's shows offered up some of the most impressive makeup and hair looks we've seen to date, it's hardly surprising that I'm legit considering trying a few out already. And what's to stop me? From a surprisingly flattering eye shadow shade to hair accessories your mum would be proud of, I've filtered down the bevy of autumn beauty trends into an easy cheat sheet covering the looks I know you're going to want to try sooner rather than later. 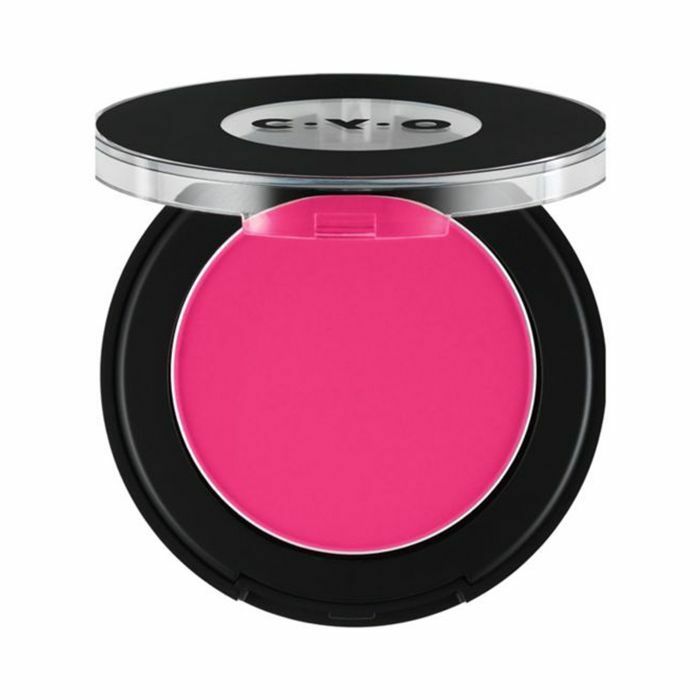 Traditionally, pink has been a bit of tricky colour to get right in eye shadow form. As the thinner skin around the eye is more prone to redness, we've shied away from shades of fuchsia for fear they'd make us look like we've got conjunctivitis. But alas, our fears were misplaced, as makeup artists worked tirelessly to prove this season. Yes, pink eye shadow (in dolly mixture pastels and standout cerises) can look flattering. Cool, in fact. Just be sure to properly conceal the area first—that way you'll get the flushed look you're after. Granted, hair accessories have a moment almost every season, but usually it's about glitzy hair slides or studded alice bands. Not the plastic grips and combs you thought you left behind in your school P.E. days. Practicality is king here, so look to giant claw grips that can hold up a whole pony or accordion hair bands that'll keep flyaways in check. While I never gave it up, there was a moment back there than mascara kind of fell out of favour, and we all tried to pull off the whole lipstick and bare eyes thing. I'm pleased to say that mascara is making a welcome return this season, but it's not just about a quick two coats and done. No, experiment with colour like the Fanta-tone lashes at Dries Van Noten or the baby-blue at Salvatore Ferragamo. Not yet ready for colour? Just amp up your application and apply more layers than you care to count, like at Carven. Big hair is back on the beauty agenda this season, and I'm all for it. From the extreme side sweep at Anna Sui to the bouncy bouffant bobs at Moschino and the Amy Winehouse–style beehives at Miu Miu, the higher the better. Eyes were studded with mini crystals at Kate Spade, whilst glitter coated faces blinded the audience at Giambattista Valli and at Preen, the models' foreheads had a swift splash of glitter right before they walked out onto the runway. Much more considered than your average festivalgoer, the new way to wear sparkle (and to make it feel modern, not naff) is to be considered but surprising with your placement. The only thing we're worried about is the glittery aftermath. If you're looking for more in the way of beauty inspiration, keep scrolling as I walk you through more of my favourite beauty looks from the autumn 2018 show season. We're digging this flash of crayon-style fuchsia eyeliner flanking the top and bottom lashes. Try Too Faced Sketch Marker in Candy Pink (£17) if you're feeling it too. Crimped hair was big news last season, but the style looks to be making a welcome return for autumn too. Thank god that Ghd Contour (£76) won't go to waste. Here, it's all about the brushed-out crimp to create volume, width and texture. Okay, so even for a fancy occasion, this full face of glitter is more trouble than it's worth—and probably too much strain to put on your Dyson to clear up the falling evidence. But Glamglow's Glitter Mask (£44) will help you achieve a similar selfie without the mess. Whatever way you wear them, curls are a key player in this season's trend roster. We're particularly taken with these brushed-out ringlets that are the perfect meeting point between form and texture. Whether it's the frothy creamy shade of a flat white or the deep hue of an Americano, there's something so innately flattering about a coffee-toned lipstick—which is why the beauty look at Marimekko left a lasting impression. Utilizing the designer's latest beauty collaboration, makeup artists used Clinique Pop Splash Lip Gloss + Hydration in Espresso Pop (£17). Backstage at EachXOther, Wella Professionals Global Creative Director Eugene Souleiman drenched the models' hair with a mixture of Eimi Extra Volume Mousse (£4) and Mistify Me Light Hairspray (£12) to make them look like they had just emerged from the shower. Who knew damp hair could look so beautiful? The standout moment of Milan Fashion Week had to be Tommy Hilfiger's homage to all the burnt rubber and high octane of a racing track. In beauty terms, that meant girls with speed-styled hair by Eugene Souleiman for Wella. He simply doused each models' hair with EIMI Sugar Lift (£8)—a less stringy alternative to salt spray—and dried with a Ghd Air Diffuser (£15) to bring out the best of their natural texture. "I wanted something a little unexpected, so we added a few braids dotted throughout the hair," Souleiman explained backstage. "And some of the Afro-haired girls had full braids or locs." Working with Maybelline, makeup artist Mark Carrasquillo painted go-faster stripes in wheel-rim chrome across the models' eyes, stretching in a straight line from the outer corner of the eye. "This isn't a feminine flick; it's a high-speed swipe," he explained. For more metallic makeup inspiration, look here. If we were walking in the Prada show, we'd have definitely wanted to be one of the seven models who had this look. Using her upcoming palettes (out in March), Pat McGrath painted eyelids in a spectrum of colours, including bottle green, violet and a punchy fuchsia that stretched right out to a sharp point at the temples. As if that wasn't major enough, she then dotted them with tiny flat-backed Swarovski crystals, which you can buy on Amazon, even if only to try this out from the privacy of your own bathroom. Another show that proved the power of a good blusher, at Vivetta, each model had cheeks shrouded in this perky pink that looked healthy and a little wind-beaten—no sugary-sweet doll cheeks here. It helped that eyes were doused with a gold glitter gloss, too. They used MAC Studio Eye Gloss in Pearl Varnish (£17). Molten liquid copper was smudged across the eyes at Arthur Arbesser, requiring little more finesse than a thumb swipe. Fancy it? Stila's Magnificent Metals Glitter & Glow Liquid Eye Shadow in Bronzed Bell (£23) is the perfect tool to arm yourself with. Never has small change looked so divine. Not quite a bun, not quite a ponytail, this halfway looped job is every lazy girl's hair dream. Simply tie into a ponytail and on the last twist of the hairband, pull the hair only halfway through and leave it there. It works just as well on curls too—I've tried it. When a smoky eye is on the cards, it's probably your first instinct to reach for that charcoal-black kohl pencil, right? Well, D&G showed that brown pencil isn't as fuddy-duddy as we previously thought—here, it actually made the cat eye a little softer and more wearable. So much so that we're considering replicating it for work tomorrow. The prep backstage at Preen might have looked low-key, but that's exactly the kind of vibe the brand was going for. "The inspiration for the hair is sea anemones," explained Wella hairstylist Eugene Souleiman. "We want the girls to look like they're in water—like [their hair] is floating with zero gravity." That meant he doused the models' hair with Wella EIMI Mistify Me Light (£15) and Dry Me (£6) and added soft waves using Ghd's new Gold Styler (£139) before makeup artist Val Garland blew MAC glitter all over their faces. It's not often that you find yourself pining after silver eye shadow, but that's exactly how we feel after witnessing makeup artist Monica Marmo swipe the models' eyes in a foil-finish pigment backstage at Delpozo. The exact Nars product she used isn't out until later in the year, but for now, Eye Paint in Interstellar (£19) is a pretty close match. For hairstylist Stephen Low, this twisted hair knot is all about the "snakeskin shine"—hair that shows off the texture of the individual strands but still has those bands of beaming gloss. Before twisting hair tightly and securing into a looped knot, Low prepped it with plenty of L'Oréal Professionnel's Tecni.Art Liss Control Cream (£12) and Liss Control+ Serum (£12). There we were thinking that pink eye shadow was one surefire way to make eyes look swollen and sore—on the models at Halpern, it looked fresh and fun, especially when peering out from behind a fan of mega-long lashes. Still not sure? This is how to make pink eye shadow work for you. Another pink eye look, but this time, it comes teamed with a band of lilac liner on the lower lash line. Maybe not one for a midweek meeting, but as soon as Friday rolls around, this is the kind of playful spirit we'll be going for. 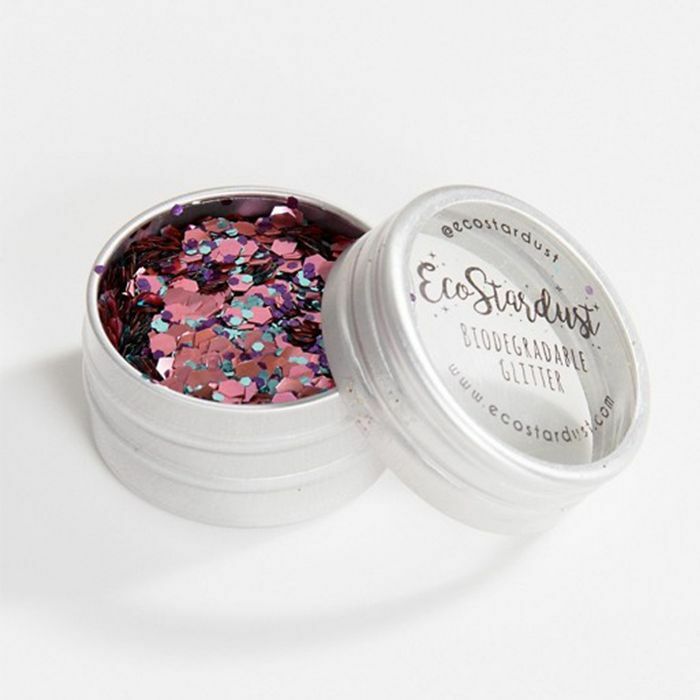 Glitter makeup has definitely been having a rather extended moment in the beauty limelight as of late, but these tiny crystals that have emerged from the kits of makeup artists worldwide offer up a more wearable and grown-up version of the look. Plus, it's relatively low-lift: Simply get a tonne of gems from Amazon and use lash glue to dot them over the eyelids with wild abandon. 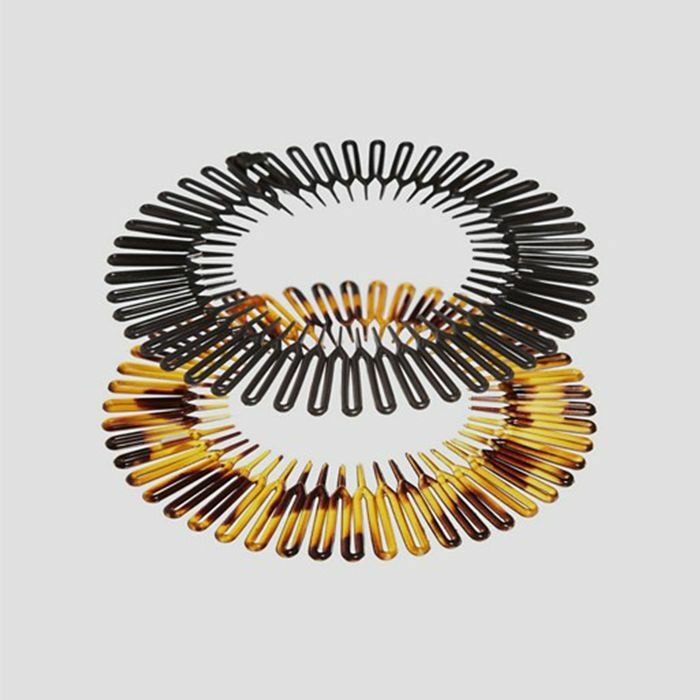 Last season it was scrunchies, but when tasked with pulling an old-school hair accessory from the depths of his hair kit (and our memories), it was these seemingly nameless tooth-combed Alice bands that Anthony Turner gave the chance the chance at a cultural comeback. 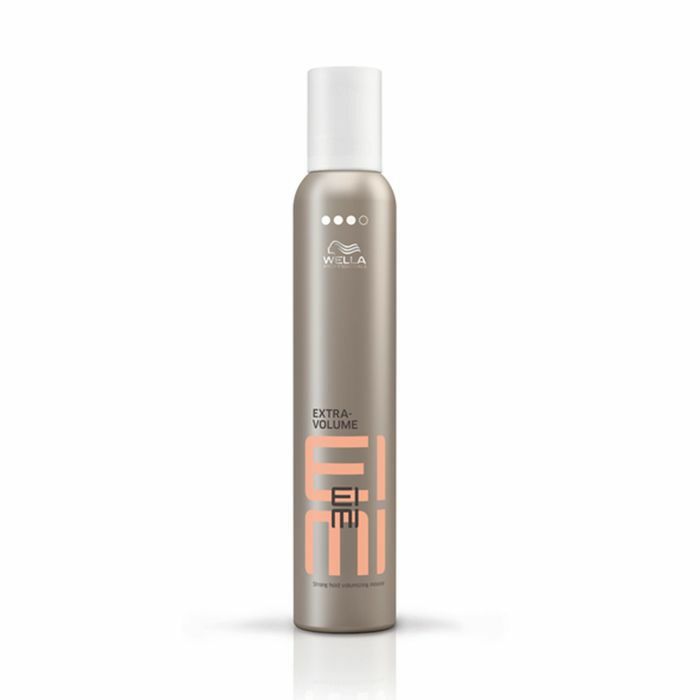 Armed with an arsenal of Wella products, he doused the models' hair with Wella Professionals Oil Reflections (£16) to give it that '90s sheen, pulled it back into a yoga-worthy bun before slipping the hairband in over the top—FYI, Amazon calls them Flexicombs. We're not sure the beauty world will ever tire of reinventing the humble braid, and to be honest, we wouldn't want it to anyway. There are already so many ways to wear them, but we're coming round to the idea of these ear-veiling French plait meets pigtail, à la Wednesday Addams as sported by the models at Negris LeBrum. It can be so easy to get all worked up trying to master the perfect black eyeliner flick (read this and it won't seem so tricky anymore), but the makeup look at Tibi serves as a welcome reminder that makeup is there to be played with. 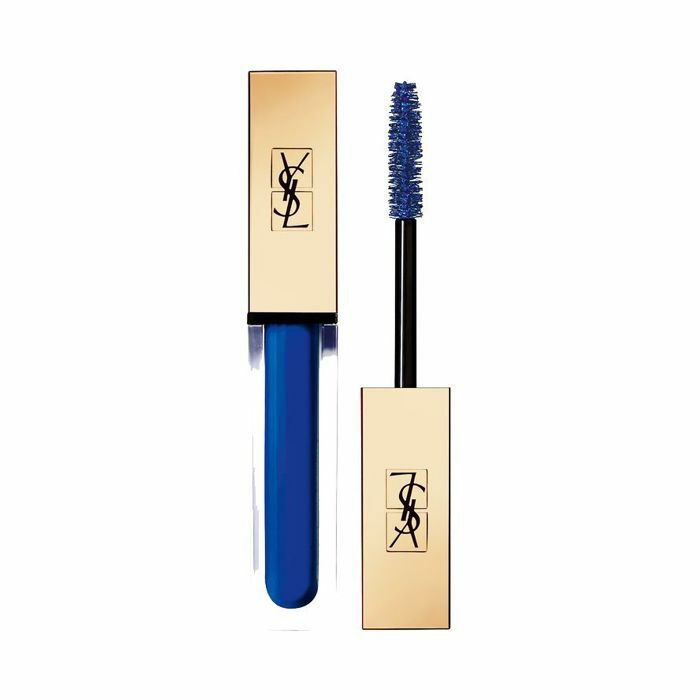 To re-create, we'd use Nars Larger Than Life Long Wear Eyeliner in Khao San Road (£19), as blue eyeliners don't really come punchier than this one. There was once a time that a ponytail was your "day off" hairstyle, for gym visits or rushed mornings, but nowadays, it's become a fancy hairstyle in its own right. That's thanks to its constant reinvention on the world's catwalks. This tucked-under style is for certain our favourite of its most recent incarnations and takes little more than a flick of the wrist and some heavyweight hair spray, such as IGK Intern Flexible Hairspray (£25), to inject some shine. Ah, another '90s throwback we didn't expect to see at fashion week: the retro claw-clip. To create the look, Redken hairstylist Guido Palau twisted hair into a low chignon before using the Dyson Supersonic Hairdryer (£300) to smooth before clasping in place with one of these clips. You might not have seen one in, well, forever, but you can get Scunci's clips pretty easily at Boots. The final trend worthy of adding to your beauty to-do list is this ethereal nymph-like makeup look from Brock Collection. Eyes were clouded in a series of tea-stained brown shadows in velvety matte textures (Urban Decay's Naked Heat Palette, £40 would be perfect for this) and lashes were coated with a lightweight brown mascara.